Growth in Northern Ireland's manufacturing sector is expected to continue to slow, according to an industry leader, as UK figures reveal a four-month low in factory orders. The latest industrial trends survey by the Confederation of British Industry (CBI) showed a balance of 10% of firms reported an increase in order books over the three months to February, down from 14% in January, although still above the long-run average. Export order growth eased back significantly, with a balance of 10% against 19% in January. 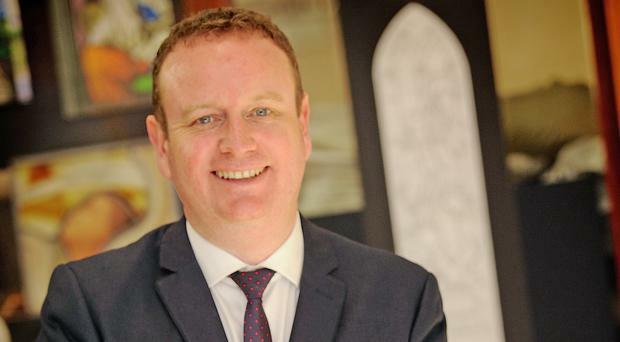 Manufacturing NI boss Stephen Kelly said the trend is particularly evident in Northern Ireland, where a series of construction and transport lay-offs have hit the sector. "Whilst the EU and world economies seem to be growing pretty rapidly, the UK economy is growing but at much slower pace and that is a concern," he said. "We've seen in recent weeks how UK domestic demand has resulted in difficulties for some of our local firms, particularly in transport and construction, and we would see that trend continuing as there is uncertainty around what the UK future economic plans will be," he continued. "Over the last six months, we've been talking about transportation and construction because those tend to be the first sectors to give. "Capital spends like these are the first things to go and that seems to be what's happening. It is a great concern for us." The CBI said that a balance of 24% of firms reported an increase in overall output volume for the quarter to February, up from 21% in January. Economists said while the sector's output remains robust, the CBI figures add to evidence that its recent pound-inspired rally may be easing off. Samuel Tombs, chief UK economist at Pantheon Macroeconomics, said: "The further decline in the CBI's total orders balance in February indicates that the support to growth in manufacturing output from sterling's depreciation is beginning to fade." He added that rising price pressures, particularly from higher oil prices, could mean that "last year's strong upward momentum in the manufacturing output likely won't be sustained".